I want to put it at the back over the bellhousing. I dont know whether to join on to the existing exhaust pipe flange, or get a turbo manifold and join to that. 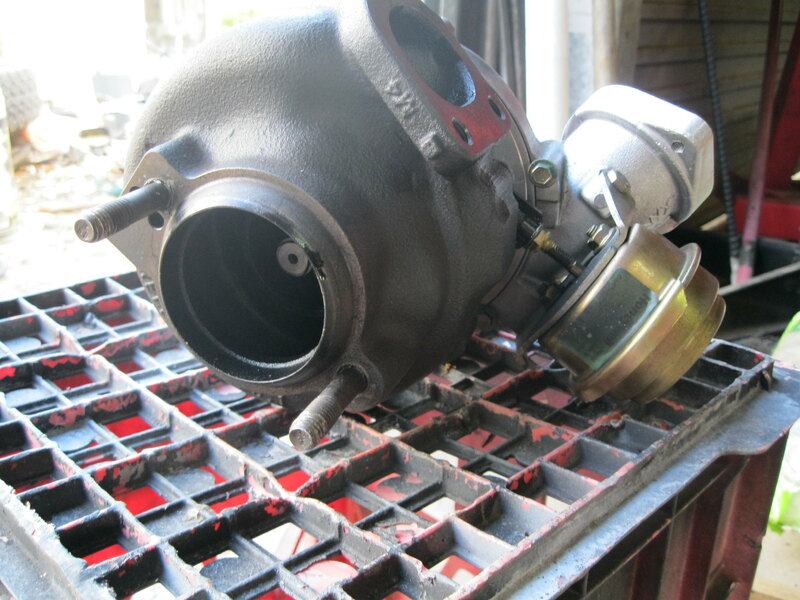 I acquired this turbo years ago for some project but the air in and out look too small for the aircleaner. OK I cant get another rear mount manifold so I will go with a top mount and pipe it back. Now does this VNT turbo just work out of the box as it were, or do I have to mess about adjusting it. It doesnt get a mention any more. Perhaps I would be better with a HX30 or TDO4hl-19T as mentioned in the other thread. Well these manifolds are not going to work. 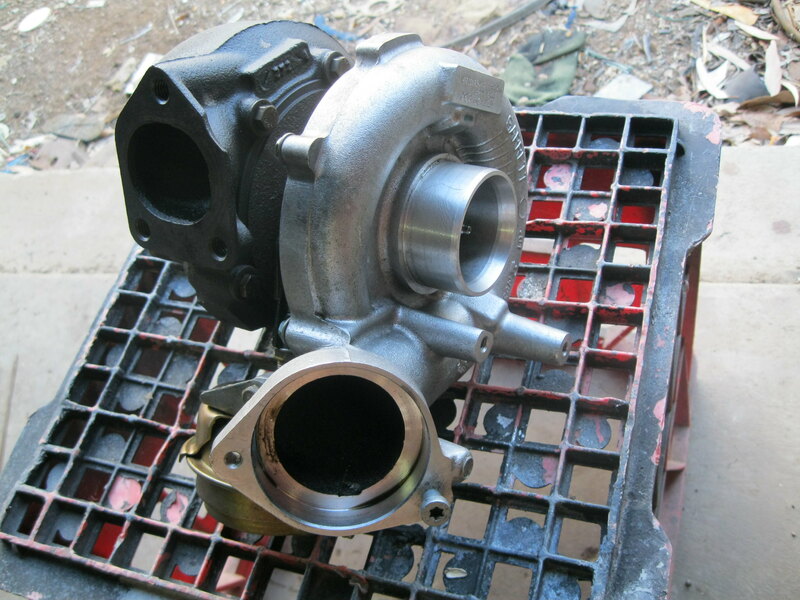 I am going to have to fabricate one with the turbo flange on the end. This 2260V has the exhaust housing wrong for the oil feed so I will have to clock it. Read up, easy, loosen 6 bolts and rotate. not easy, remove 6 bolts and look inside there is a pin locating the housing next to a finger that plays with the vanes. Seems I cant rotate it unless the ring with vanes rotates as well. Any ideas or has anyone done this? 6 bolts and simply rotate is the intake, or exhaust on a non VNT. Did all that OK, then went to bolt back up and I cant rotate the impeller, pulled it back off and still cant. I cant remember if it spun freely before or not as its been a few years since I bought. Gave up on it for a bit and its still in the vice. Might have to take it to a turbo guy as I cant see why it wont turn. No, I have gone off it. Two much trouble making a 3 bolt adapter and the funny agle of the pipes etc. Looking at a Holset now. I would just get the holset hx30w, soo much easier. Yep, you and Steve have convinced me. I like the way the wastegate actuator is only attached one end. Makes it easier clocking, compared to the Garret. And the Gt2260V with the vacuum actuator starts to get complicated. OK for you but hard for me. Steve. Got your last PM but cant reply for some reason. Turbo is on its way.